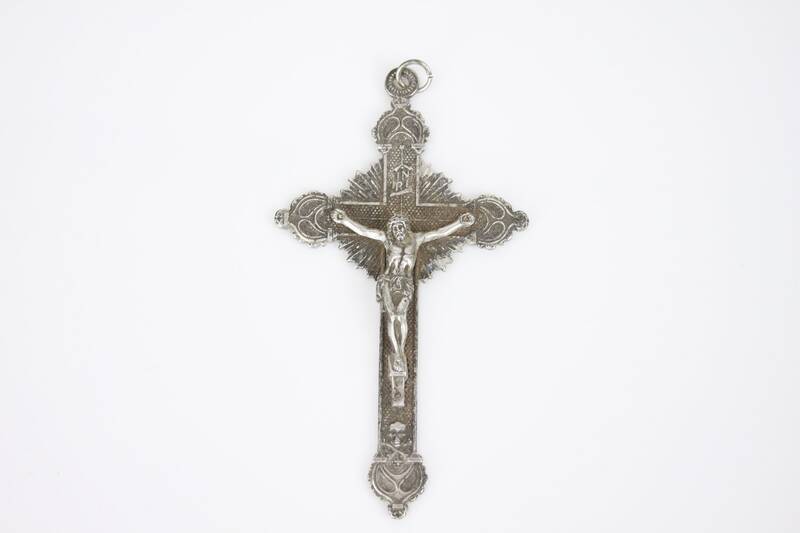 This beautiful crucifix is fine example of 20th century whitesmithing! 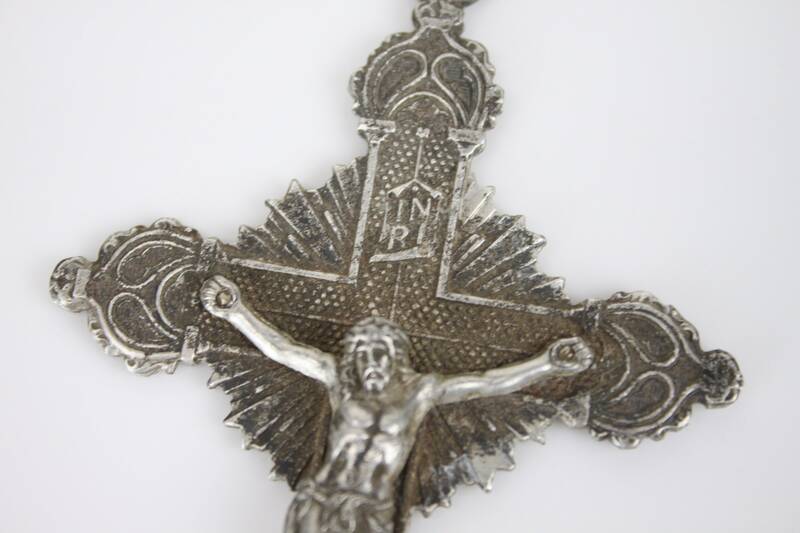 Most likely made in mexico some time around the 1940's - This large pectoral crucifix was worn by members of the Adveniat Regnum Christi (legion of Christ). 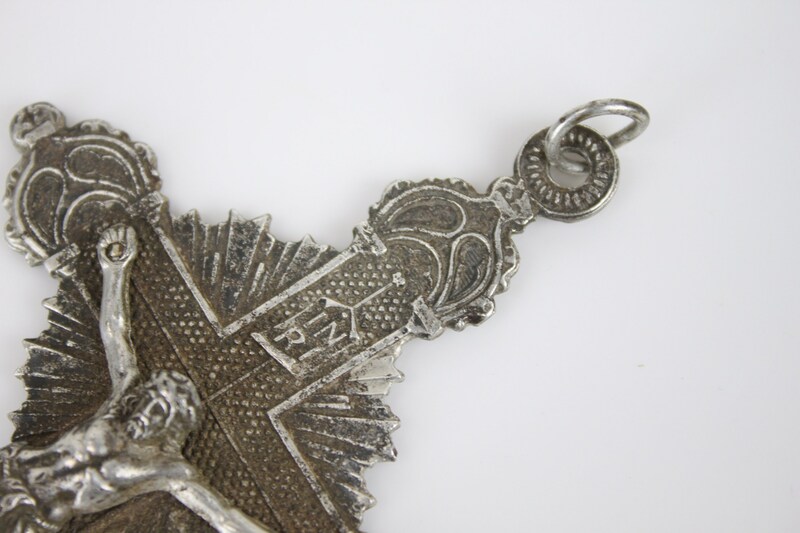 The Adveniat Regnum Christi, or Legion of Christ, is a Roman Catholic religious institute, made up of priests and seminarians studying for the priesthood. 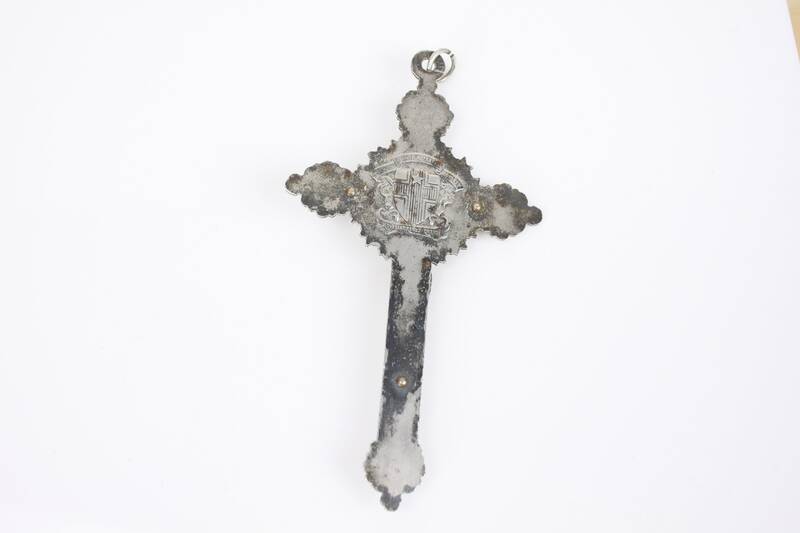 It is affiliated with the apostolic movement Regnum Christi, founded in 1959, which includes lay persons and diocesan priests and has branches of lay Consecrated Men and Regnum Christi Consecrated Women. 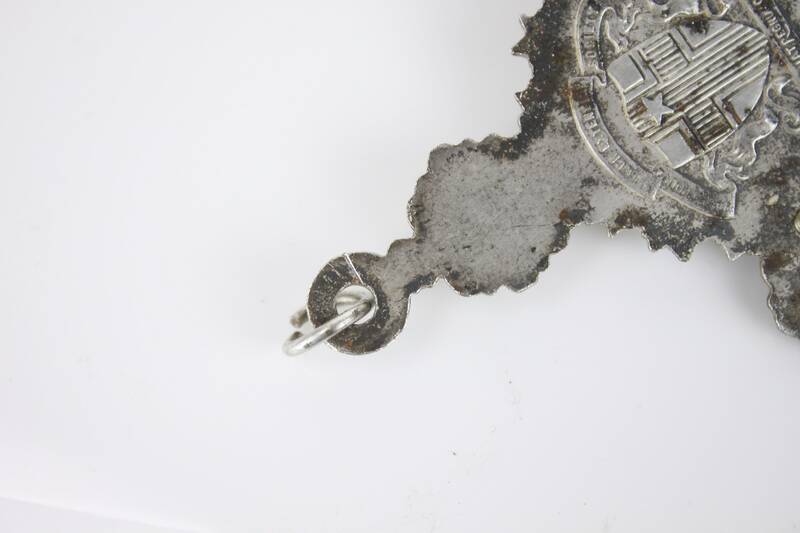 The Legion was founded in Mexico in 1941, by Marcial Maciel. 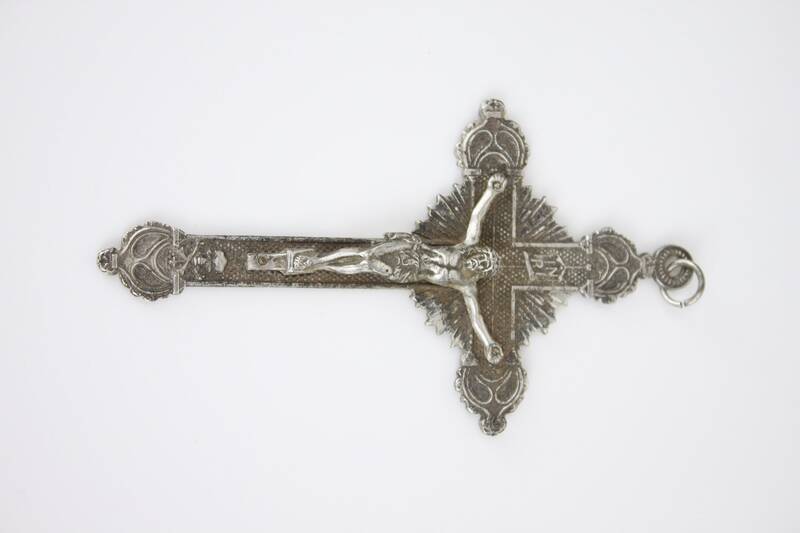 This crucifix is in stunning condition and features a host of Catholic symbols - Chief among them are the Skull and Crossbones normally associated with soldiers & burial cross'. 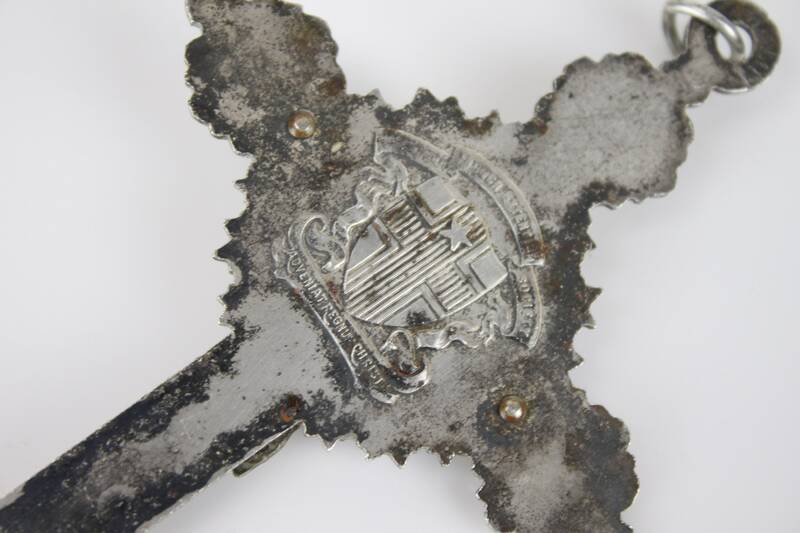 Also, it features an inverted cross - otherwise known as Saint Peter's Cross. 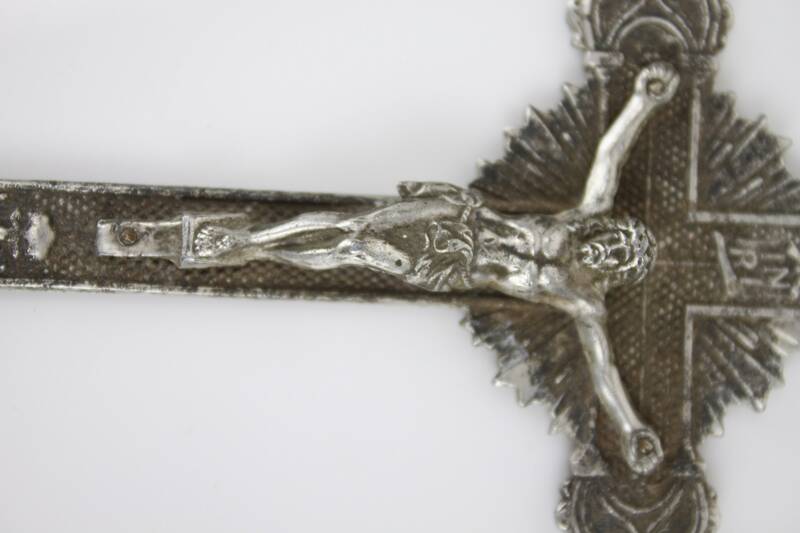 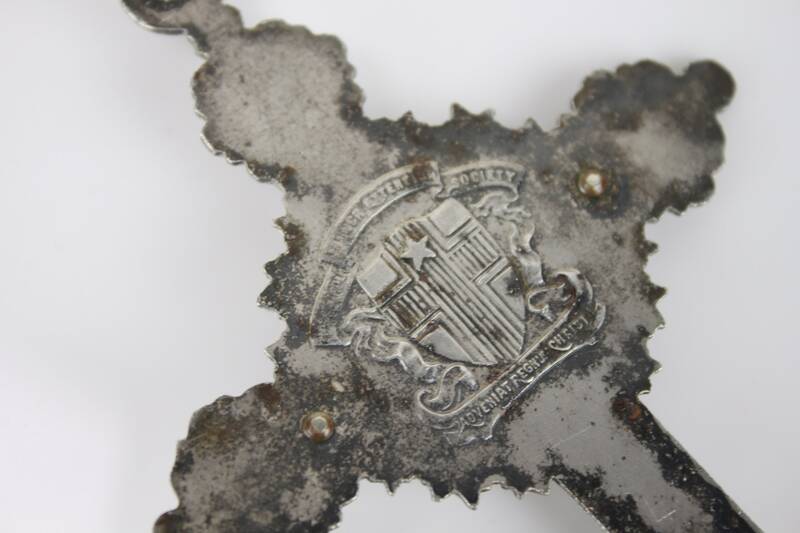 Both the Cross and the corpus are made from an unmarked silver and are held together with three silver plated brass rivets. 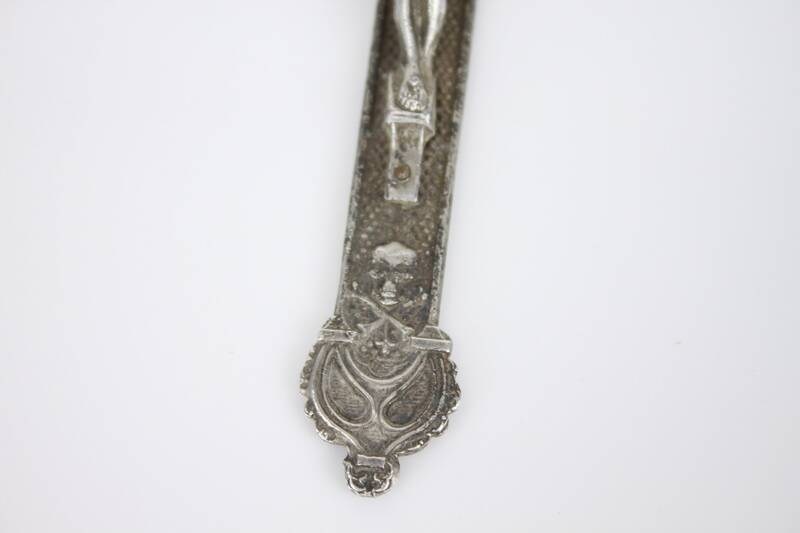 This piece would make a wonderful addition to any collection and could be worn as a eye catching statement piece!